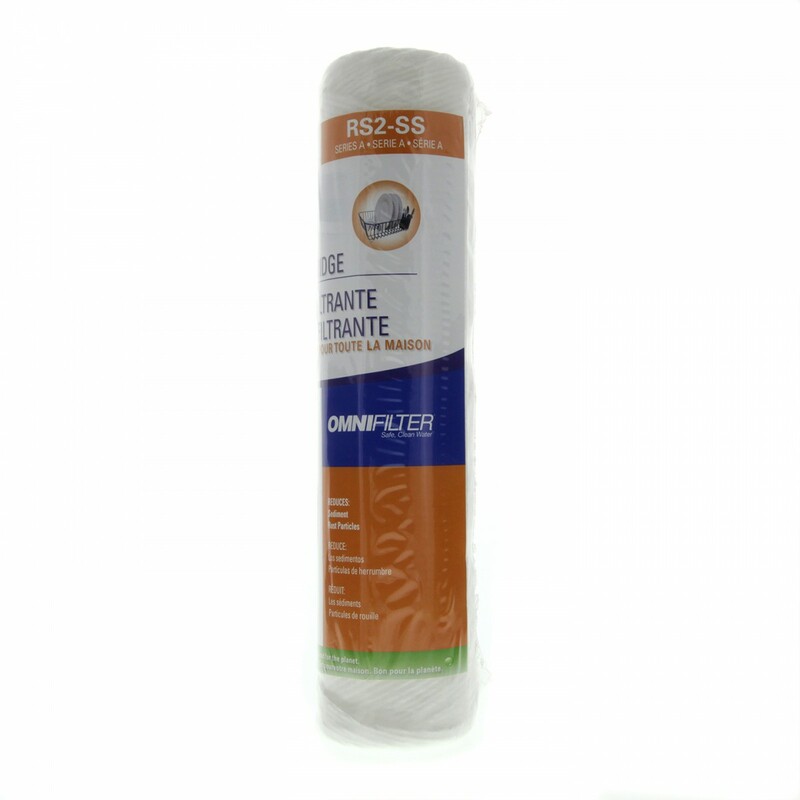 The OmniFilter RS2-SS water filter is a string-wound filter that fits all Omni undersink water filter systems as well as all Omni basic and medium duty whole house water filtration systems. The RS2-SS also fits any other brand of water filter housing that uses 9-3/4-inch x 2-1/2-inch filter cartridges. The filter uses String-Wound Polypropylene to remove contaminants for up to 3 months.